As the possibility of war loomed in the 1930s, the British Admiralty looked to update their fleet of destroyers to compete with the new ships being built by Germany and Japan, resulting in the commissioning of the powerful Tribal-class. These were followed by the designing of the first of several slightly smaller ships, which carried fewer guns than the Tribals, but were armed with a greatly enlarged suite of torpedoes. The first of these, the 'J/K/M class' was followed by a number of wartime variants, with slight changes to their weaponry to suit different wartime roles. 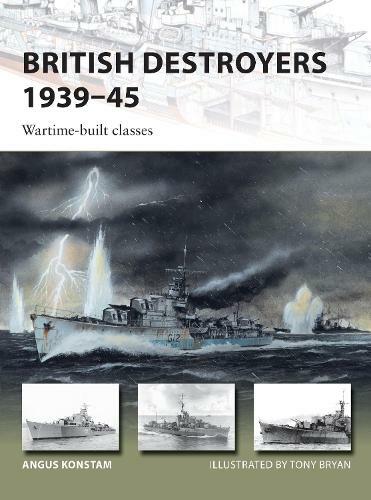 Designed to combat enemy surface warships, aircraft and U-boats, the British built these destroyers to face off against anything the enemy could throw at them. Using a collection of contemporary photographs and beautiful colour artwork, this is a fascinating new study of the ships that formed the backbone of the Royal Navy during World War II.